Saving energy in the home can sometimes seem like a daunting unachievable task so it often helps if you can break each area or room down so you can target individually to improve efficiency. Some areas where you can make savings can be generic throughout the home but some can be more specific to a certain space or room. The following infographic looks at an often forgotten space, your bathroom. 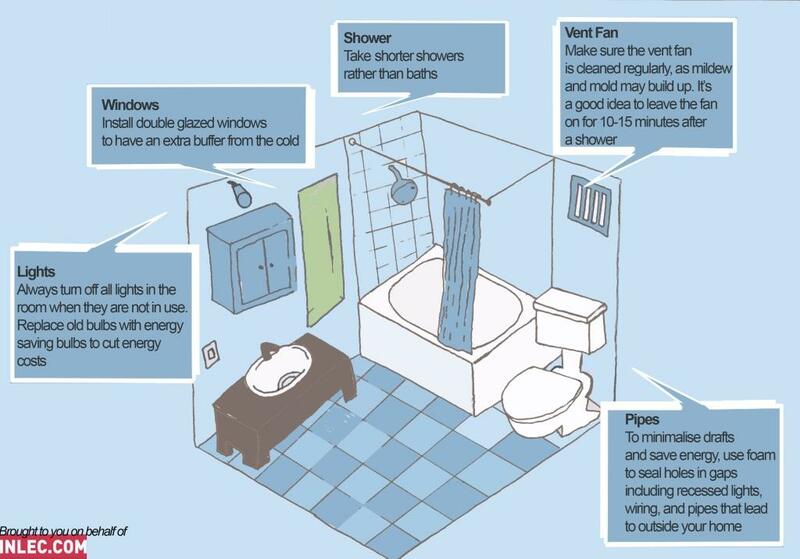 This infographic piece was brought to you on behalf of Inlec, which gives helpful tips on how to save energy as well as money around the bathroom.